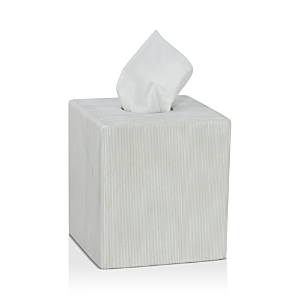 Hotel bath towels, rugs and accessories to complete your home spa. Escape, pampering, simple luxury. Everything you loved about your vacation right at home. Go to: Hotel Collection Bath Towels, Hotel Bath Rugs, Tub Mats, Bath Accessories. Also: coordinating shower curtains and hotel bedding. Ultra absorbent and luxuriously soft, these bath towels from Hotel Collection give any bathroom a spa-quality look and feel with their long-staple Turkish cotton and stylish designs. The finer points. Luxuriously soft with superior absorbency, the Elegance Bath Towel Collection from Hotel Collection exudes pure bliss in your bath space. Ultra-soft, super absorbent Turkish hydrocotton towels in a sophisticated palette of colors. 100% Turkish cotton Fine variegated stripes in bold and neutral hues adorn this plush cotton bath towels by Hudson Park Collection. Sumptuously soft and absorbent, Hudson Park Collection's Supima Towels are crafted in lofty Supima cotton for an every day post-bath indulgence. An elegant ombré stripe design updates the Hotel Collection Borderline towels, making them the perfect complement to the Hotel Collection Ultimate MicroCotton® towels. With a similar spa-inspired look and soft cotton feel, the Borderline towels' ombré effect adds an extra touch of style to your bath. 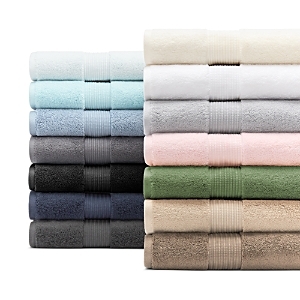 Experience a new level of luxury with the Hotel Collection Ultimate MicroCotton® bath towel collection. 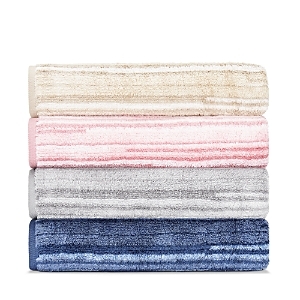 Ultra-soft and extra-absorbent, these towels make a blissful addition to your bath. In favorite neutrals, gentle pastels and rich jewel tones, the standout selection of shades can accommodate every décor. Add some refreshing style and spa-quality comfort to any bathroom with the ultra soft cotton and distinct patterns of these Fashion bath towels from Hotel Collection. A luxurious texture elevates the tone of the Hotel Collection Sculpted cotton bath towel to be superbly soft and highly absorbent. Add some refreshing style and spa-quality comfort to any bathroom with the ultra soft cotton and distinct patterns of these Fashion bath towels from Hotel Collection. Complete your bathroom's decor in style with the Tile Diamond bath towel collection from Hotel Collection, featuring the soft touch of cotton fabric and a vibrant diamond pattern. Experience a new level of luxury with the Hotel Collection Ultimate MicroCotton® bath towel collection. 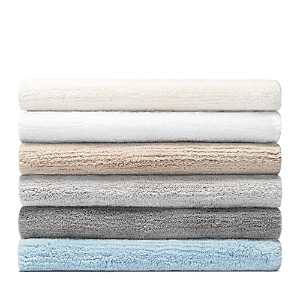 Ultra-soft and extra-absorbent, these towels make a blissful addition to your bath. In favorite neutrals, gentle pastels and rich jewel tones, the standout selection of shades can accommodate every décor. 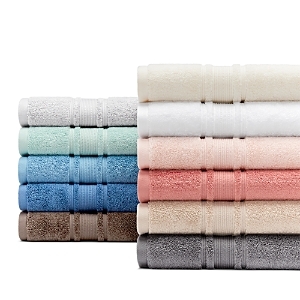 Experience a new level of luxury with the Hotel Collection Ultimate MicroCotton® bath towel collection. Ultra-soft and extra-absorbent, these towels make a blissful addition to your bath. In favorite neutrals, gentle pastels and rich jewel tones, the standout selection of shades can accommodate every décor. Lay down a rock-solid foundation of luxe style and comfort in any bathroom setting with the soft tufted design and attention-grabbing striations of these Marble bath rugs from Hotel Collection. Elevate the luxury level of your bath with the Hotel Collection Turkish bath rugs. Crafted of quality cotton in the most-wanted shades, these handsome rugs surround your steps in ultra softness and understated style. Complete your bathroom's decor with the Textured Stripe bath rug from Hotel Collection, featuring a vibrant stripe pattern and skid-resistant backing. Our signature PB Classic Bath Rugs are the softest and plushiest you’ll find. Complete your bathroom's decor with the Geo bath rug from Hotel Collection, featuring a vibrant geometric pattern and skid-resistant backing. The textured look and cool color scheme of the Penelope rug from Jessica Simpson is just what your bathroom decor needs for an instant modern update. Complete your bathroom's decor with the Woven Stripe mat from Hotel Collection, featuring a subtle stripe pattern and skid-resistant backing. Stonewashed cotton. Machine wash. Portugal A soft statement underfoot, the Hotel Collection Finest Elegance tub mat is also highly absorbent. Transform your bathroom into a luxury, spa-like oasis with the Ibiza bath mat collection by Home Dynamix. 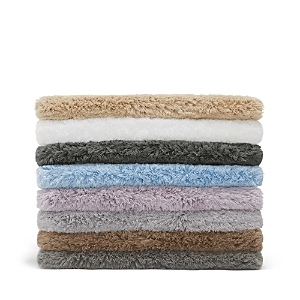 This chic collection is crafted with super-soft high-pile plush popcorn chenille fibers in shimmering solid colors The Nicole Miller Newton textured bath mat collection will transform your bathroom into a personal spa haven with color, style and comfort. This designer-inspired collection is crafted with natural, high-quality cotton fibers emphasizing the cozy sensation that will grace your feet with every step. Experience the supple luxury of these Nicole Miller Radiance chenille bath mats by Home Dynamix. This velvety shag rug will grace your feet with every step. 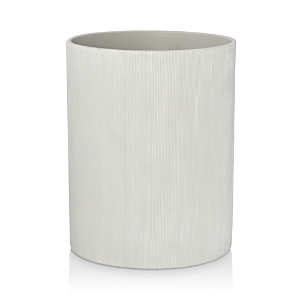 The designer-chic color palette elevates your bathroom decor with Nicole Miller's signature shades and style. Enjoy the luxury of a spa experience in your own home with the Christian Siriano Spa Retreat bath mat collection by Home Dynamix. Offering complete comfort for your home, a unique patented Air-Flo Technology has been developed for the Spa Retreat bath mats to allow air to flow through the mat for improved drying speed. Enjoy the luxury of a spa experience in your own home with the Christian Siriano Spa Retreat bath mat collection by Home Dynamix. Offering complete comfort for your home, a unique patented Air-Flo Technology has been developed for the Spa Retreat bath mats to allow air to flow through the mat for improved drying speed. Enjoy the luxury of a spa experience in your own home with the Christian Siriano Spa Retreat Border bath mat collection by Home Dynamix. Offering complete comfort for your home, a unique patented Air-Flo Technology has been developed for the Spa Retreat bath mats to allow air to flow through the mat for improved drying speed. 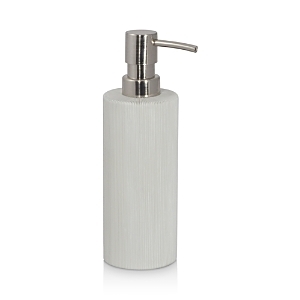 A minimal, yet eye-catching collection of bath accessories by DKNY to bring an overall modern appeal to your space. 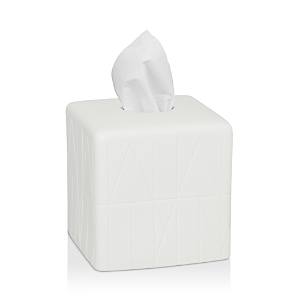 A minimal, yet eye-catching collection of bath accessories by DKNY to bring an overall modern appeal to your space. 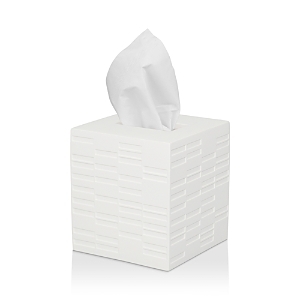 A minimal, yet eye-catching collection of bath accessories by DKNY to bring an overall modern appeal to your space. 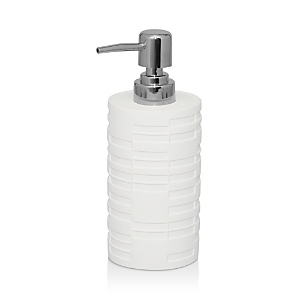 Featuring a sleek, embossed geometric motif these cement accessories by DKNY lend a modern feel to the bath. Featuring a sleek, embossed geometric motif these cement accessories by DKNY lend a modern feel to the bath. 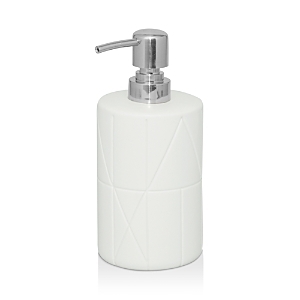 Featuring a sleek, embossed geometric motif these cement accessories by DKNY lend a modern feel to the bath. 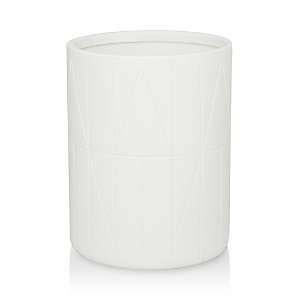 An embossed linear geometric motif lends a modern look to these porcelain bath accessories by DKNY. An embossed linear geometric motif lends a modern look to these porcelain bath accessories by DKNY. An embossed linear geometric motif lends a modern look to these porcelain bath accessories by DKNY. Give your bathroom's appointments a luxurious modern look with the sparkling glass and stylish mosaic design of these Cape bath accessories. Give your bathroom's appointments a luxurious modern look with the sparkling glass and stylish mosaic design of these Cape bath accessories. Give your bathroom's appointments a luxurious modern look with the sparkling glass and stylish mosaic design of these Cape bath accessories.